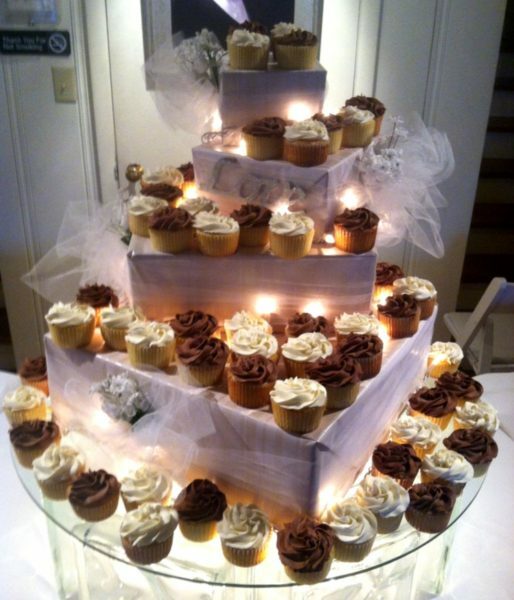 Here’s a great idea for displaying cupcakes! & it’s very inexpensive! Whether it’s a baby shower, birthday party, bridal shower or any event or holiday…whatever the occasion. (I actually did this display for a wedding.) Using sturdy boxes; wrapped in desired paper. Stack boxes staggered in a way that leaves enough edges to display cupcakes. Secure boxes together using heavy duty duct tape underneath each box secured to the other box. String lights where the boxes meet securing with invisible tape. Wrap the boxes in toile or ribbon tied in big bows (this is a great way to camouflage the string lights) adorned with trinkets celebrating the occasion. 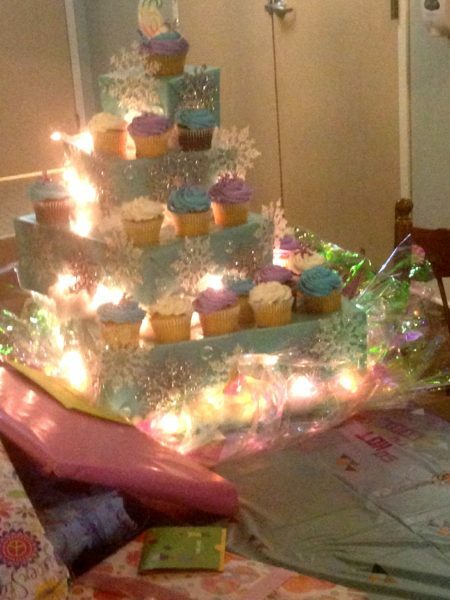 For an added “wow” factor set the cupcake display on glass builders blocks with a string of lights in the middle. Voila! Easy & inexpensive!